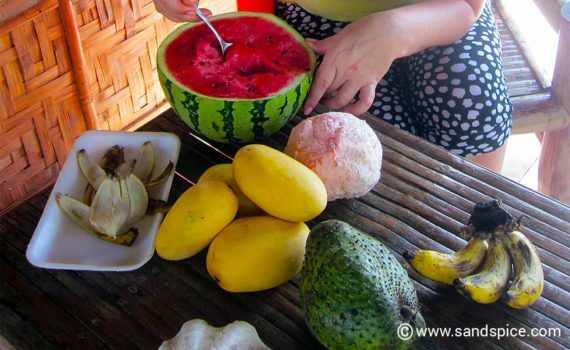 This is why we came to the Philippines: To relax in an off-track, secluded location with an open bath-water temperature sea, great snorkeling, eating tasty local food, fish, and exotic fruit (the mangoes in Moalboal are just the best). Following a brief overnight in Cebu city, we took a bus for the 3-hour journey south and to the other side of Cebu island. 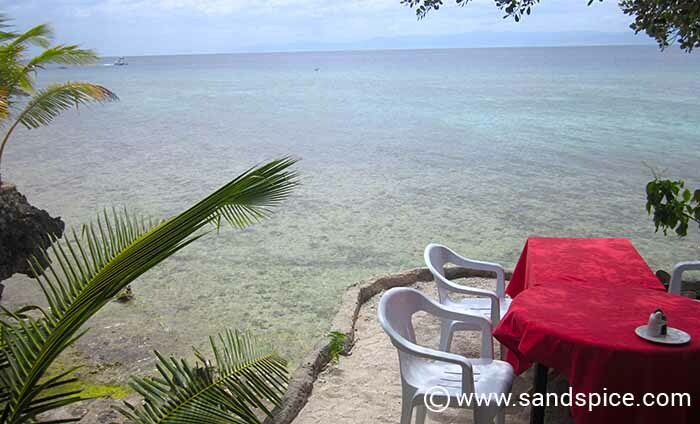 The place we chose to stay was the T-Breeze Resort, just outside Moalboal. The Shell Cottage we chose is set back 50 meters from the seafront, but close enough to the bar/restaurant. It is surrounded by well-kept gardens, with a variety of herbs and spices, including lemon grass and a local version of basil. The cottage is basic, but with everything you need, even including a gas cooker and fridge. We paid €30 per night, including breakfast. Coffee and tea is available all day at no extra charge. We were made really welcome by the management and staff, and spent our evenings in the cozy bar/restaurant area. The food was very good and reasonably priced, as were the drinks. The owners prepared some very tasty local dishes for us. As with many places we visited in the Philippines, there is no sand beach here. However, you can find sand beaches a little further along the coast, used mainly by locals. We snorkeled off the stone steps of our resort. A little way out there is a drop-off from the reef. 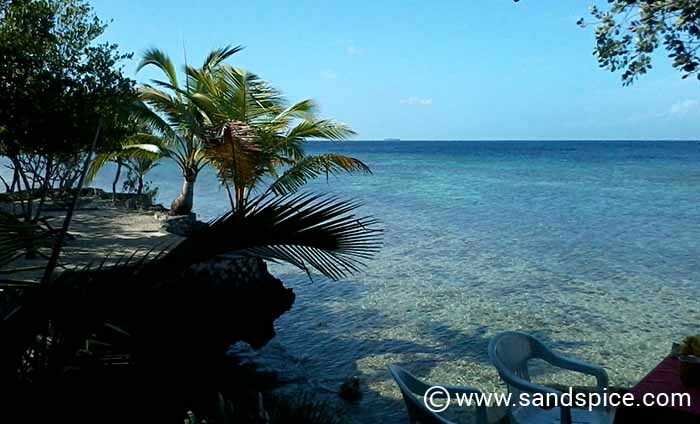 Here, you can encounter turtles and other marine life, together with some interesting and colorful corals. 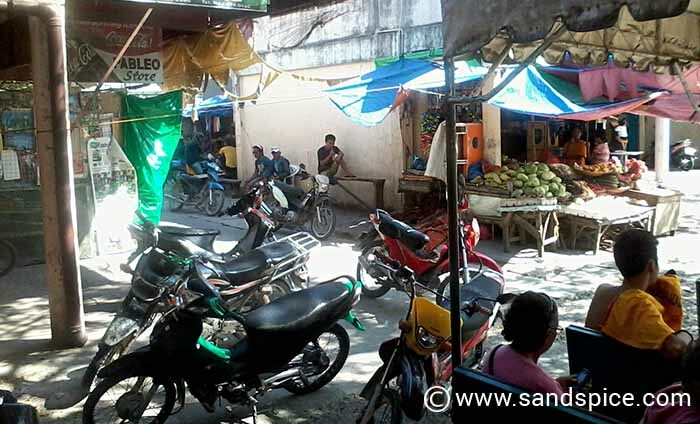 Moalboal town is just 25 minutes away by trike (150 pesos). There you can find a supermarket/mall, and a couple of markets. 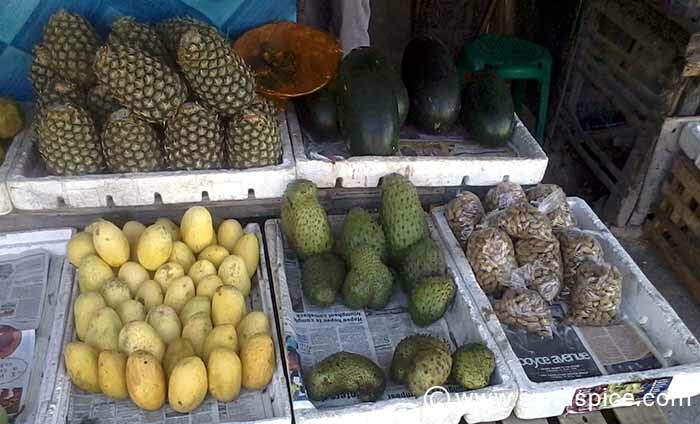 We indulged in a great selection of tropical fruits including our favorite Soursop (here called Guyabano or Chicos). This is a sort of custard apple fruit, tasting of creamy strawberry and pineapple, with sour citrus flavor notes. The pomelo and mangoes are also mouth-watering. 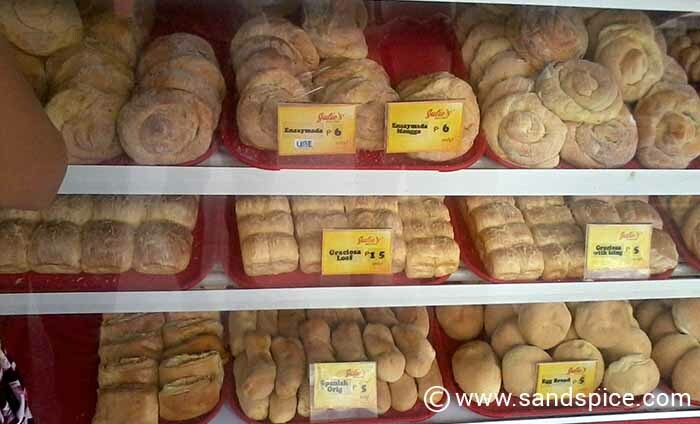 There are also several internet cafes and and a couple of irresistible bakeries (one right in front of the main bus stop). 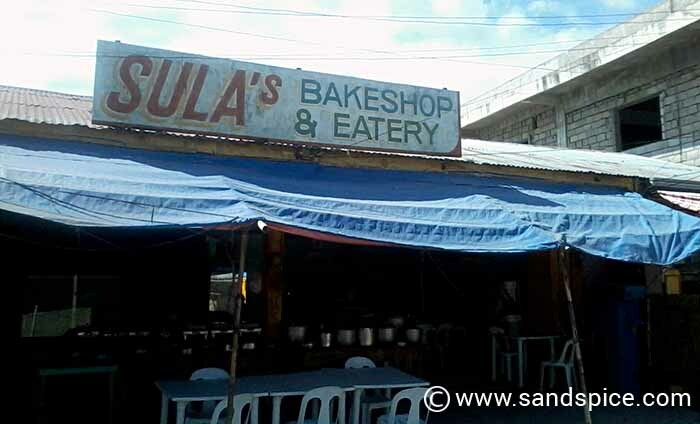 Across the road from the fish market, there is an interesting local eatery called Sula’s. 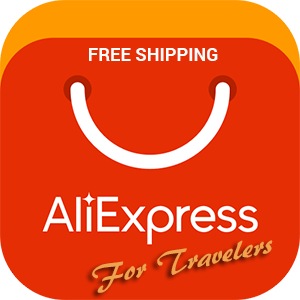 Here, you can choose from a variety of meat, fish and vegetable dishes. If you’re not familiar with the food, it’s a bit of pot luck choosing what you want, but if you choose 3 or 4 items, you should find something you like. Ask the price before choosing, otherwise you’ll be at the mercy of some dodgy mathematics afterwards. 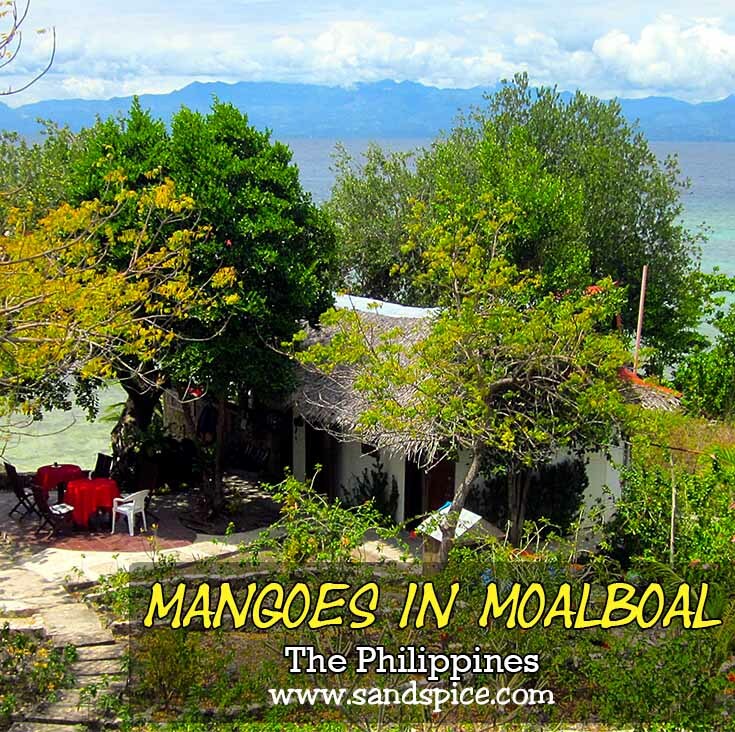 After 3 nights in Moalboal, we were heading off to the next island on our itinerary – Bohol. The simplest way to get there was to take a bus (air-conditioned this time) back to Cebu City, and then to take a ferry across to Bohol. 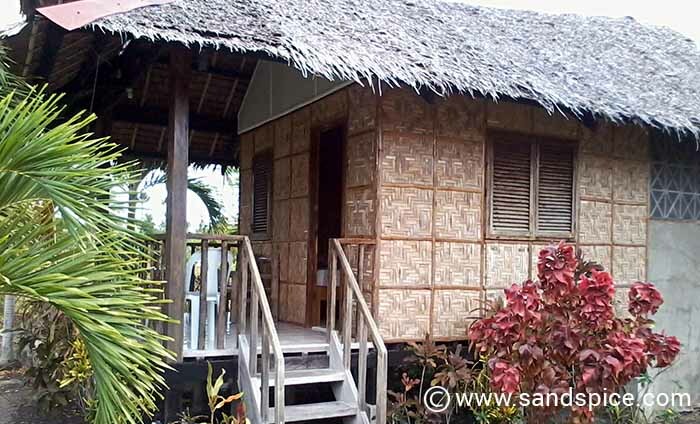 The only other option is to travel across to Argao on the opposite coast of Cebu, and to take a ferry from there. However, with only one ferry per day and changeable schedules and weather, this is a risky alternative. Wow! , wish I was there! ?